According to two studies, using small nets to extract blood clots from patients’ brains may be the future of stroke care. Clots block blood vessels, starving parts of the brain of oxygen, which leads to symptoms such as paralysis and loss of speech. Two studies, presented in the Lancet medical journal, suggest extracting clots with nets could improve recovery. The Stroke Association said it was very excited by the treatment’s potential. There are already techniques for reopening blocked blood vessels in people’s brains. Some patients will be given “clot-busting” drugs, but this needs to be in the hours just after the stroke and is not suitable for everyone. Other techniques have been developed to extract the clot. Some procedures pass a tube up through the groin to the brain. There the wire passes through the clot, forming a coil on the far side and then pulling the clot out. However, this is far from routine practice. The latest methods involve a tiny wire cage instead of a coil. This pushes the clot up against the walls of the artery and enmeshes the clot in the wires, allowing doctors to pull the clot back out of the groin. Two similar devices were compared with the current coil methods. One trial of 113 patients showed 58% had good brain function after three months, compared with 33% of those treated with the coil method, as well as a lower death rate. Another study in 178 patients showed almost double the chance of living independently after treatment. One of the researchers involved, Prof. Jeffrey Saver from the University of California, Los Angeles, said these techniques would become more common, as they are more likely to clear clots than drugs. “Clot-busting drugs only partially reopen 40% of large blocked arteries. These devices partially reopen 70-90% of large blocked arteries. In the long term he can see drugs being used as a first option and then clot removal if the drugs fail or cannot be used. Responding to the research, the Stoke Association’s Dr. Clare Walton said clot-busters did not work for all patients so new techniques could help many patients. She added: “Clot retrieval devices have the potential to be used with more stroke patients and are better at removing blood clots than clot-busting drugs. 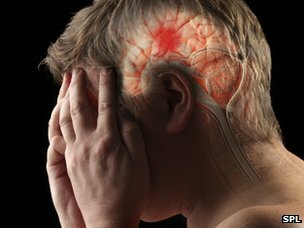 Dr. Philip Gorelick, from Michigan State University, said the studies were “major steps forward in the successful treatment of acute ischaemic stroke, and pave the way for new treatment options”. The research was published to coincide with a European Society of Cardiology meeting in Munich.